Keeping all areas of your home clean isn’t easy if you don’t have a plan and a schedule to put all these areas together. Light fixtures are often the areas of a room that can get forgotten about, it isn’t until you look up that you remember to clean them. Dirty light fixtures not only give off poor lighting as it has to filter through the dirt, but it can make a room smell. Have you ever turned on a light and noticed a musty smell as the dust heats up on the lights? Keeping your light fixtures clean isn’t too difficult if you regularly keep them clean. It will depend on the type of light and placement of the light as to the best way to clean. A light that is in the kitchen can get sticky, this is a residue from the environment. Likewise, a light fixture in a bathroom must prevent moisture getting into the electrical connections and this can mean they are more difficult to clean. I tend to do a deep clean of the light fixture then the following month a lighter clean unless it is the kitchen fixture, this gets a deep clean every month. On the lighter clean, it is just a dust over to remove any dust particles and to ensure that no spiders have decided to create an intricate display on my light fixture. Deep cleaning your light fixtures is a great way to check that they are working correctly and safely, if you notice a problem you can sort it out, maintenance is cheaper than having to replace an item because you didn’t look after it properly. My deep cleaning involves taking out all the light bulbs and cleaning these, it is surprising how much dirt and dust can build up. By removing the light bulbs, I feel that I can clean the light fixture easier. If there are any parts that can be safely removed and washed, I take this opportunity; things like glass shades are easier, I find, to clean with some warm soapy water. Obviously, you have to make sure they are dry before putting them back up. If there are parts that you can’t wash it is important to clean them carefully with a soft microfiber cloth. I prefer a light covering of cleaning solution on the cloth rather than trying to spray the light fixture as this can fall to the floor and make it slippery or it could get into the electrics and cause damage. Remember if you have to reach for the light fixture, you need to make sure that you have opted for a safe way to reach. I have a small set of steps that are light and I keep these indoors to reach the lights. It is dangerous to try and stand on an object that isn’t meant for that purpose, you could easily fall and hurt yourself. 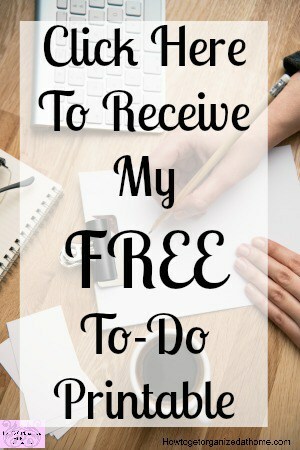 I like to have a clean home and sometimes I can be obsessive but there are limits to the amount of cleaning even I will do, so a good rule of thumb is about once a month. Any more than that I find that I am missing some of the other routines that I should concentrate on. 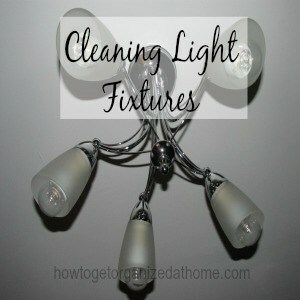 I used to clean my light fixtures all at one go, but I found this wasn’t working for me anymore and now I use the time when I deep clean a room to do the light fixtures at the same time. Therefore, it is important not to put off deep cleaning your light fixtures, it might be the time that you notice a maintenance issue that needs addressing. It will ensure that the energy you are using to light your home isn’t being wasted trying to break through a layer of dust and dirt. I am SO bad about cleaning our our light fixtures. I’m stunned that you clean them once a month. I was thinking more like every six months or so. I’m good about the daily cleaning (laundry, dishes, vacuuming, etc.) The deep cleaning is tough and often gets forgotten about.